Canons Ashby House is a Grade I listed Elizabethan manor house located in the village of Canons Ashby, south of the town of Daventry, Northamptonshire. The interior of Canons Ashby House is noted for its Elizabethan wall paintings and its Jacobean plasterwork. It is owned by the National Trust. This entry was posted in Public Gardens and tagged England, National Trust, public garden on 30/07/2018 by David Jefferson. The Trentham Estate is an award-winning visitor attraction, welcoming over 3 million visitors a year. 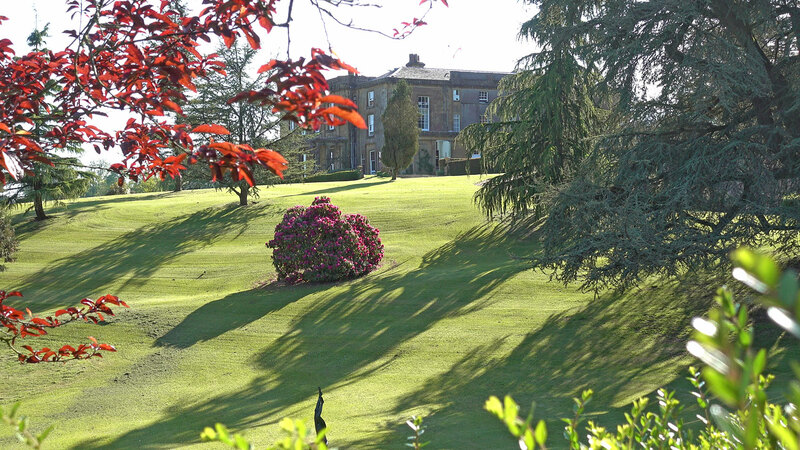 The estate includes a large lake with a passenger boat, Italian gardens and woodland walks. Lancelot ‘Capability’ Brown worked on the landscape at Trentham around 1760. This entry was posted in Public Gardens and tagged England, lake, public garden on 30/07/2018 by David Jefferson. The centerpiece of the Shugborough Estate is Shugborough Hall, parts of which date back to 1695. Further additions were made during the 18th and 19th centurys. There is an exhibition showing highlights from the lives of two previous residents; Thomas Anson who was a Member of Parliament and George Anson who was First Lord of the Admiralty. It is owned by the National Trust. Baddesley Clinton is a moated manor house near the historic town of Warwick in the English county of Warwickshire. The house probably originated in the 13th century, when large areas of the Forest of Arden were cleared for farmland. It is owned by the National Trust. Montacute house and village have often featured as locations for films. It was used as one of the locations for the BBC’s adaption of the novel Wolf Hall, in 2014. 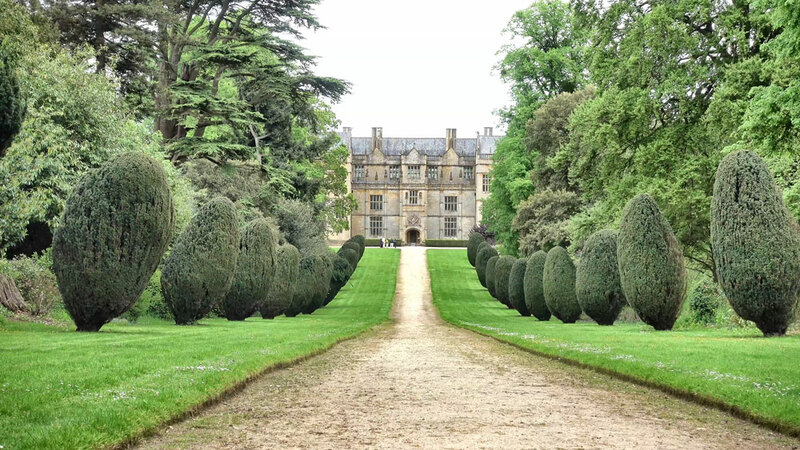 The fictional location for the Wallace and Gromit film ‘The Curse of the Were-Rabbit’, Tottington Hall, was based on Montacute House. 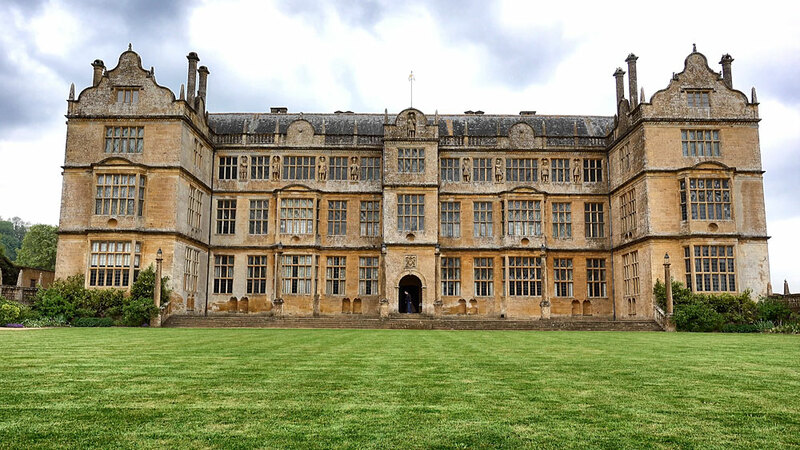 Montacute House is a building with two fronts. In 1787 the west side, originally the back, was rebuilt to become the new approach. When the house was built in 1598, the east side (above) was the front. The lawn and flower borders would have originally been a courtyard with a gate house. A notable feature of the house is the Long Gallery, spanning the entire top floor of the building. It is hung with 16th and 17th century old master portraits, in partnership with London’s National Portrait Gallery. 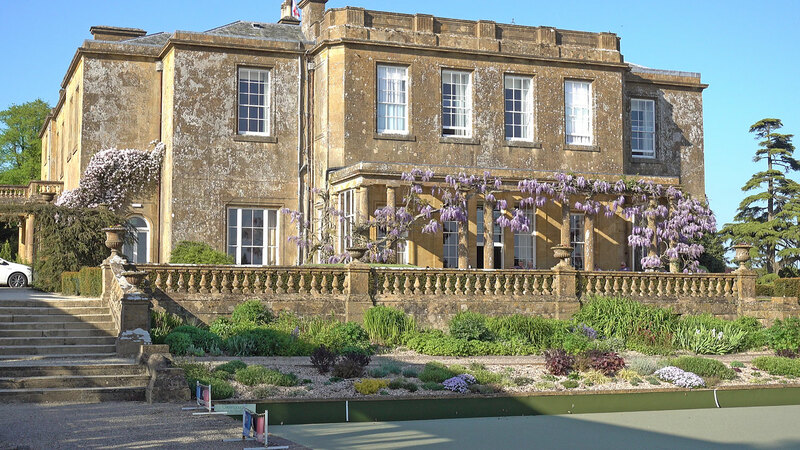 This classic country house hotel is set in splendid parkland, with colourful gardens, lakes, and a unique woodland area. 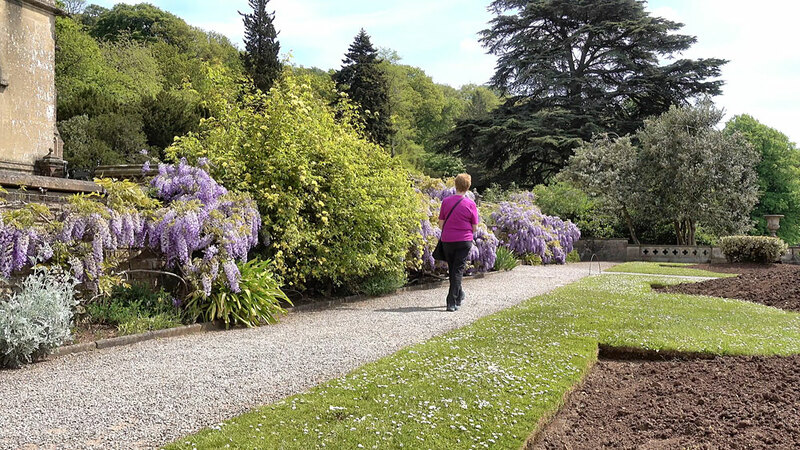 During our visit the rhododendrons and wisteria where magnificent. Filmed on 15 May 2018 at Cricket St Thomas near Chard, Somerset, UK. The Pillow Fight is a bronze statue by the local sculpture, John Robinson. 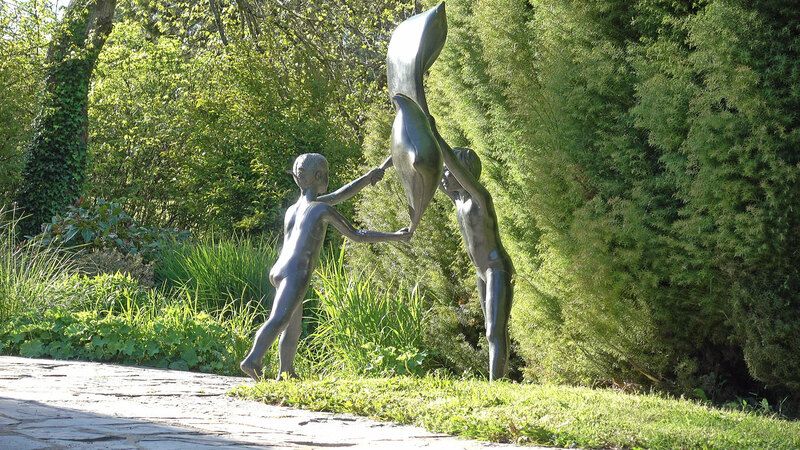 The sculptures are said to have been inspired by his own grandchildren. This entry was posted in Public Gardens and tagged England, public garden on 30/05/2018 by David Jefferson. Killerton is an 18th-century house near Exeter in Devon. In 1944 it was given to the National Trust by British politician Sir Richard Acland. Sir Richard was was one of the founding members of the British Common Wealth Party. He was an advocate of public land ownership and he gave his Killerton and Holnicote estates to the National Trust out of principle, and also to ensure that the estates remained safe and unspoiled for all time. 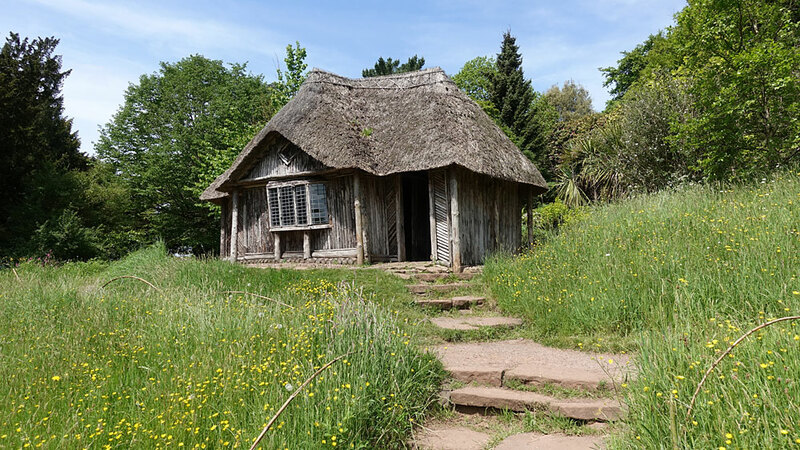 The summerhouse was renamed ‘the bear’s hut’ because in the 1860’s it was used to house a black bear called Tom, which had been brought to Killerton by the 12th Baronet’s brother, Gilbert, on his return from Canada. 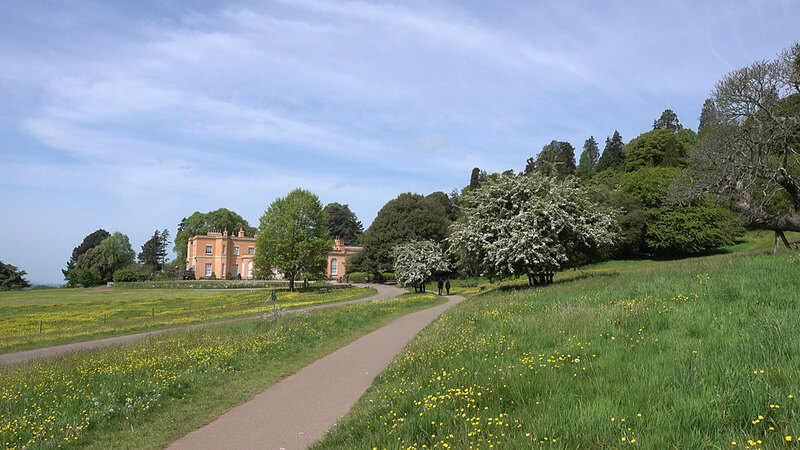 Although the Killerton Estate came to the Trust in 1944, the house didn’t open to the public until 1978. In 1944 the house was cleared of furniture to make way for two evacuated schools. Post-war the house was used firstly as a hotel for the Worker’s Travel Association, who’s aim was to provide affordable holidays for working people and their families. Later it became a hall of residence for St Luke’s College of Education. When the Trust opened the house to the public in 1978 there was little of the original furniture left. 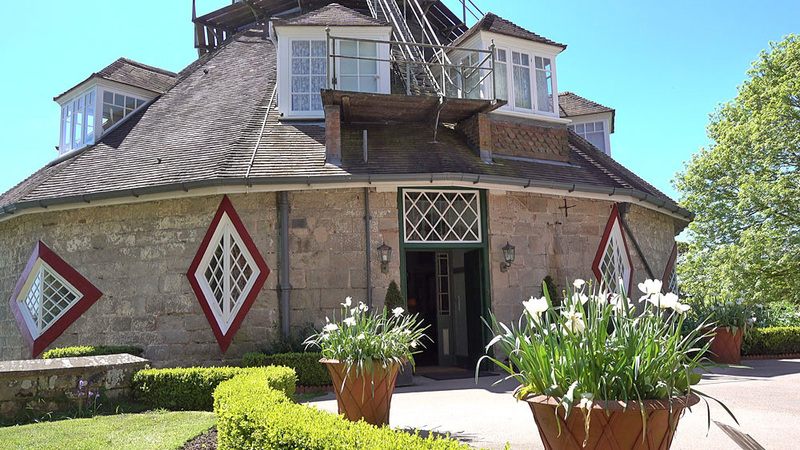 The ground floor of the house has been re-furnished as it would have been in the early part of the 20th century, when the Acland family were still in residence. There were no pictures to show what the bedrooms looked like. So when Killerton was offered a costume exhibition, it was decided to use the upstairs of the house for the displays. Since then they have always had a themed fashion exhibition on display. 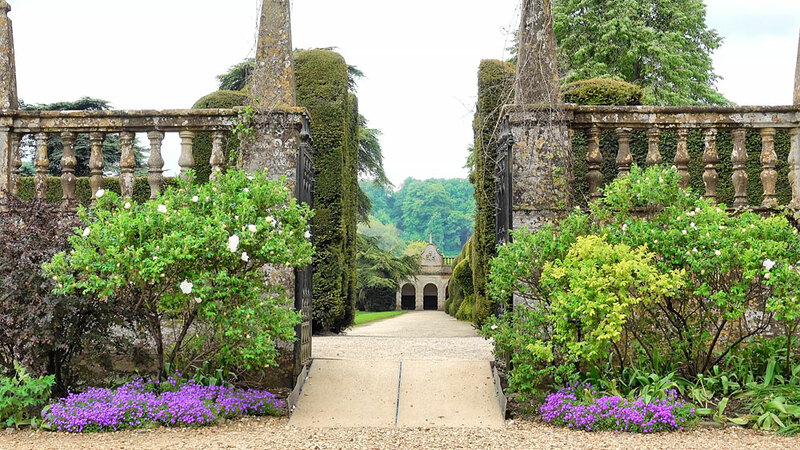 This entry was posted in Public Gardens and tagged England, National Trust, public garden on 26/05/2018 by David Jefferson. Tyntesfield is a Victorian Gothic Revival house near Bristol. The mansion was built in the 1830s. It was later bought by English businessman William Gibbs, whose huge fortune came from importing guano (bird droppings) used as fertilizer. In the 1860s Gibbs had the house expanded and remodelled. The architectural style selected for the rebuilding was a loose Gothic, combining many forms and reinventions, of the medieval style. The choice of Gothic was influenced by William Gibb’s Anglo-Catholic beliefs as a follower of the Oxford Movement. This movement advocated the revival of the medieval Gothic style, and “a return to the faith and the social structures of the Middle Ages”. We visited in May 2018. In 2002 the Tyntesfield estate came up for auction following the death of its owner and the substantial death duties that became payable. Concerned with the demolition and desecration of various historic country houses in recent years, the National Trust launched a “Save Tyntesfield” campaign. It collected £8 million in just 100 days, with £3 million from the public plus two substantial anonymous donations of £1 million and £4 million. The Trust also received £17 million from the National Heritage Memorial Fund. The National Lottery earmarked a further £25 million for the major conservation work needed. 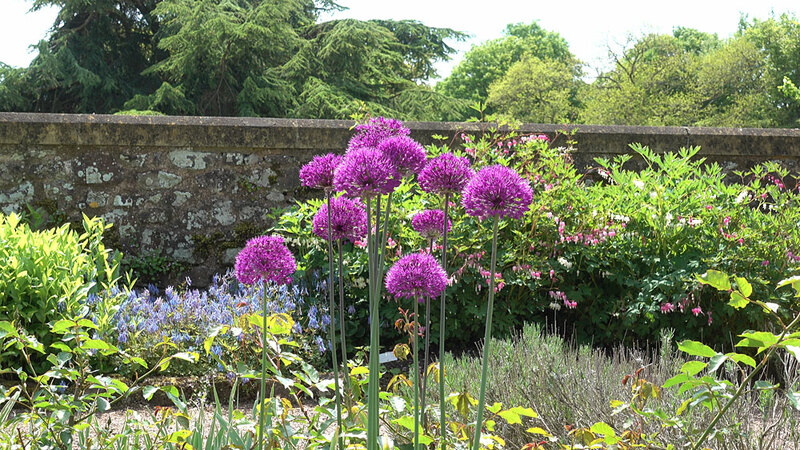 The National Trust purchased the house, the kitchen garden, and the park. Starting out with a staff of 30 volunteers in 2002, recently the total of employed and volunteer staff exceeded 600, this is more than the number engaged by any other National Trust property. The initial conservation work focused around weatherproofing the house. The repair of the roof, including the restoration of the original bold red and black tiled geometric pattern. The entire property was rewired. Much of the original lead piping was replaced and a fireproofing scheme implemented. These initial works cost more than £10 million, much of which was raised through donations, via the “Save Tyntesfield” campaign, and the sale of lottery tickets to visitors. At first the Trust had been reluctant to allow visitors to the house, while work was underway, especially taking into account the costs of Health and Safety requirements, and the delays these could cause to the essential preservation work. But the need for cash dictated the answer, and the Trust learnt that, through giving the public close access to the preservation work, they actually gave more additional donations as a result of seeing where their money was going, and how they were making a difference. This entry was posted in Public Gardens and tagged England, National Trust, public garden on 25/05/2018 by David Jefferson.